VERY spacious house in lovely Golden Springs once, but due to health issues, repairs have gone undone and owners are selling "as is, where is" with no warranties, or termite inspection. Would make a great remodel entirely and become the lovely home it once was. INVESTORS DELIGHT! Formal foyer, living and dining rooms, spacious kitchen with nice cabinets plus a basement for any type room new buyer desires. 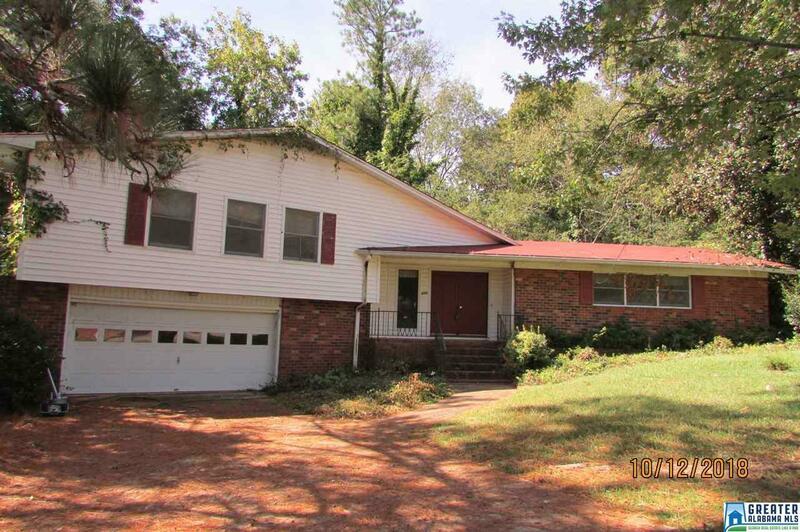 Worth a look if you are an investor who enjoys flipping houses, or looking for a great project. ENORMOUS amount of cabinets in the spacious kitchen are very usable and in good shape. Custom built with multi bonus features and built-in&apos;s very costly at time of new construction. Large, spacious rooms with over 2,700 +/- square footage estimated by tax office records. Convenient location to all major medical, professional, retail shops, and yet nestled in an established neighborhood of homes w/ mature trees & curbed streets.